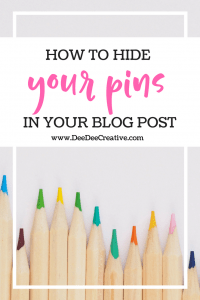 Have you ever wondered how other bloggers promote their blogs on Pinterest, using different Pins for the same blog post? 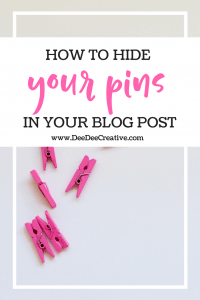 But, when you go to their blog the pins are not even visible? Do they have invisible Pins? 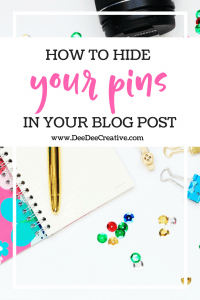 But Why Would Someone Hide Their Pins? 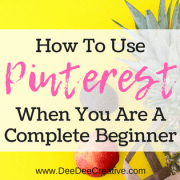 Pinterest is now the number one source for my blog traffic, mainly because I create multiple Pins for each Blog Post so that my readers and followers have a choice of which Pin image they can save to their Pinterest Boards. 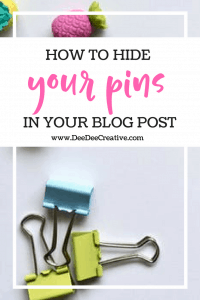 Although it might look more professional and cleaner to have only ONE “Pinterest optimised image” on your blog post, only put up one image per board which isn’t going to help drive traffic. 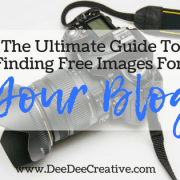 Ideally, you need more than one image so that your readers have a choice. Plus, it gives you a chance to split test your images to see which ones resonate more with your audience. 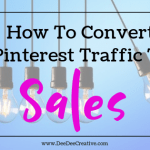 If I posted say 3-4 different Pinterest optimised images on my blog instead and put all of them on several Pinterest boards, my traffic for this particular post would likely skyrocket. The downside? The blog post suddenly looks messy and spammy. So Here Is The Trick. 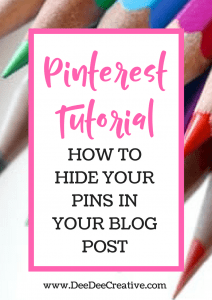 Firstly, create your Pins using your prefered platform. 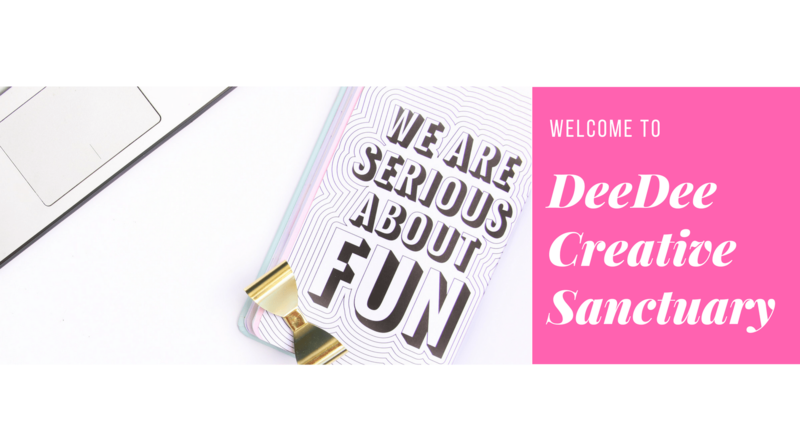 I like to use Canva. Upload your images to your Blog Post as you would normally. I like to add mine to the bottom of my post so that I can easily find the code. Now switch to Text (rather than visual). You will now see a load of coding. Don’t let this bother you. Whenever you put up an image on your blog post, switch to HTML and add this code before and after the <img… /> HTML code. That way you make the image invisible, but in reality, it is still there. Copy the following code and add it before the opening “img class” tag (it looks like this <img class=). Copy the following code and add it after the closing tag (it looks like this />). So How Do My Readers Find The Images? 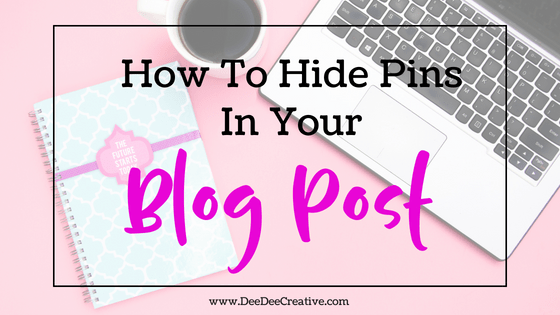 Most Blog Posts will have a Pin button at the bottom of the post, which when clicked will show the hidden images. 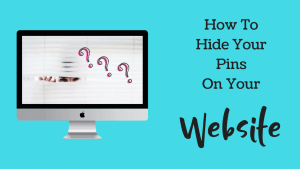 If you don’t have a Pin Button, you need to upload a plugin that will add it to your Blog. 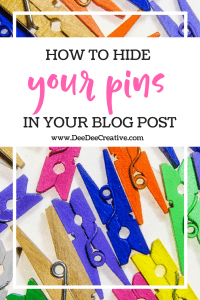 Or, if your reader is using the Chrome Pin It or Tailwind extensions, they can click on the extension button and they will see those hidden Pins. 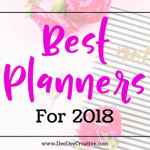 FYI, I am a HUGE fan of Tailwind for scheduling my Pins to my Pinterest account and highly recommend it. Grab your FREE Tailwind Trial HERE! 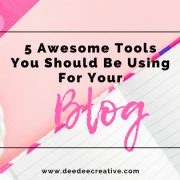 Learn more about what awesome Tools I use and recommend for my Blog and Website. 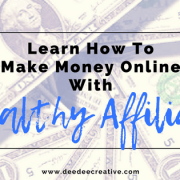 *Some of the links on this site are “Affiliate Links.” If you click on the link and purchase the item, I may receive an affiliate commission. Regardless, I only recommend products or services I use personally and believe will add value to my readers. 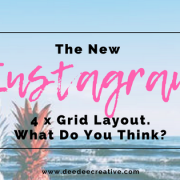 The New Instagram 4 Grid Layout. What Do You Think? Wow! Lovely trick. I tried it and succeeded. I’m lovin’ it. This is something I never considered. I’m going to try this. Thanks for sharing! You’re welcome, Alice. 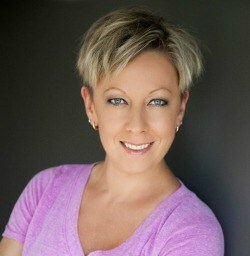 Let me know what sort of results you see from any changes you implement. Supercool code trick there Dee! Hey there! I’m Dee. 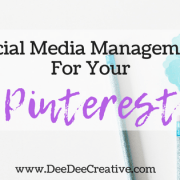 Consider me your go-to Pinterest Manager & Strategist for Creative Bloggers, Business Owners & Entrepreneurs.